Whilst at each site, we typically walk for distances of 0.5 to 3 miles, usually on reasonably flat terrain, and where possible on well made tracks and paths. However, on some occasions it may be necessary to walk through long grass or rank vegetation in order to find certain species. Itineraries concentrating on one or two sites will have less driving, but more walking. 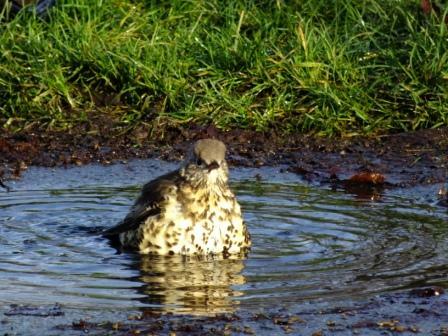 Birding can involve visiting areas that can be wet and muddy, and whilst we endeavour to keep to well-made paths, it is not always possible and you should be prepared for such conditions. We recommend a pair of walking boots. Unless we state otherwise, rubber boots or Wellingtons are unnecessary. Meeting Points will be agreed when you make your booking. For all airport pick ups the guide will meet you as you exit the customs area in the arrivals hall of the airport. He will have a sign with your name on it. For those arriving at Heathrow Terminal 3 there is an information desk on the right as you exit the customs area. The guide will be waiting in that area. Lunch is not included in the price of your trip. Options for lunch include stopping at a pub or cafe, buying some sandwiches to eat whilst in the field or in the car, or to bring your own packed lunch along. Please advise us which of these alternatives you are likely to require. Pick-up times are arranged with you when you make your booking. Your guide is also your driver so, primarily for safety reasons, most day trips finish birding for the day at around 5.00pm - 5.30pm, although this maybe earlier if you need to catch a flight or if your overnight accommodation is more than 90 minutes drive from your accommodation/airport. Evening excursions in search of owls or Nightjars are not offered on day trips. Such trips will only be offered during trips of 2 or more days and only undertaken when booked in advance. Therefore excursions in search of owls or Nightjars must be explicitly mentioned in your tailored itinerary. If it is not mentioned in the itinerary, we will not undertake evening owl or Nightjar excursions. We always build plenty of contingency time into our itineraries and keep abreast of the traffic situation on the UK's busy roads in order to ensure that clients reach their agreed drop off point at the time agreed. We build in extra contingency for those clients catching international flights, but we cannot accept any financial liability for any missed flights and any expenses incurred by the client as a result. The birding guides are not responsible for loss, damage or theft of luggage, cameras, binoculars, telescopes and personal belongings, or for personal injury, accidents or illness. For your own protection it is highly advisable to have adequate insurance cover. Clients are asked to inform us of any medical conditions that may impact on your ability to complete a day's birding as described in your itinerary. If you can only walk short distances, please advise us as we can tailor the itinerary to reduce the amount of walking required. Please also advise us of any other medical condition that might affect your ability to comfortably complete a day birding with us. Your itinerary is tailor made to suit your requirements and we will make every effort to operate the itinerary as planned. However, weather conditions and arrivals of birds may mean that the planned itinerary should be altered in order to improve the chances of fulfilling your objectives, thus the guide may alter the itinerary on the day to take account of such circumstances. In addition situations may arise which are outside our control and these may also necessitate change. If such circumstances arise, we reserve the right to alter or curtail the itinerary in the unlikely event that the need should arise. If you wish to cancel your booking, we would appreciate a minimum of 48 hours notice of this fact. Birding guides have to journey to and from Heathrow/Central London either side of a birding day which has to be covered financially in terms of time and costs.Therefore, a guide leaving home and arriving at the agreed pick-up point to find inclement weather and a client that does not wish to bird, or wishes to give up half way through (up until 12 midday), would respectfully expect payment for the equivalent of a half-day (curtailment after midday, the agreed full amount). The price of the trip includes all transport (to and from a pre-determined meeting/drop-off point and between all birding sites), reserve fees (wherever necessary), a check list and the guide’s time. We will also provide soft drinks and water.Meals are not included within in the price. CONFIRMATION AND ACCEPTANCE OF YOUR BOOKING INDICATES THAT YOU ACCEPT ALL OF THE TERMS AND CONDITIONS OUTLINED ABOVE. IF YOU DO NOT ACCEPT THESE CONDITIONS THEN WE ARE UNABLE TO ACCEPT YOUR BOOKING. 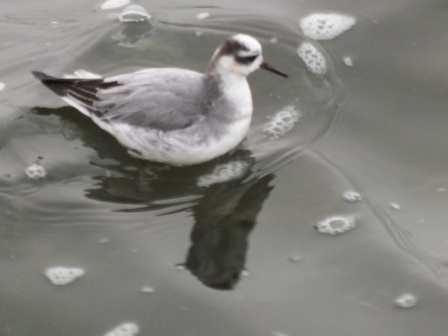 West London Birding is the sole owner of the information collected on this Web site. We only gather information we need to serve you better and will not - without your consent, - sell, share, or rent this information to others in ways different from what is disclosed in this statement except in cases where in good faith we believe that the law requires us to do so, it is necessary to protect West London Birding's rights and/or property, or if circumstances necessitate acting to protect the personal safety of staff or of the public. 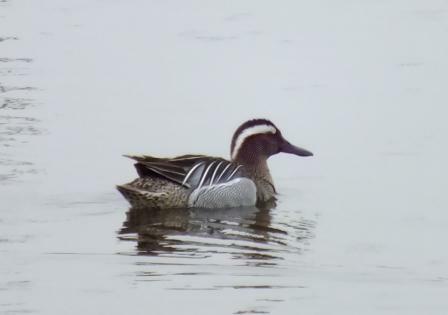 All information on this Web site is copyright 2010 by West London Birding.